Do you want to make a change in your life, but you don't know where start? Your time is limited, money is tight, and you feel anxious and depressed because of the negative news and social media. You think, "I should be happier." Stephanie understands feeling pulled in a million directions without finding fulfillment. What began as a New Year's challenge to give a daily gift for a month, thrust Stephanie into an adventure-that lasted 522 consecutive days! Now Stephanie's every day giving is a way of life. Giving with no expectations, opens the door for more giving (and receiving), for understanding the power of gratitude and for the possibility of living out your big dreams. 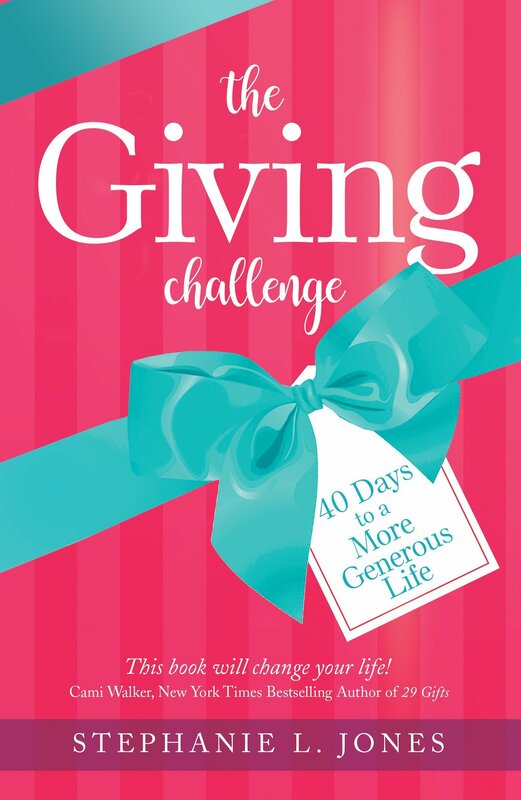 By committing to the 40-Day Giving Challenge and finding ways to focus on others instead of yourself, your relationships will strengthen, your marriage will improve, you'll find ways to get organized, save money and help out those in need. What you'll discover will surprise you and delight others. Now is your time. Take the challenge today! The Giving Challenge will show you how you can make a difference, without a lot of time or money. In the process, you’ll learn to lead a richer life.